1. 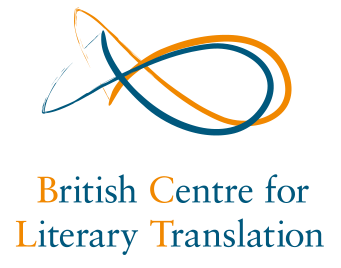 Why a Framework for literary translation? The Framework aims to describe the competences that a literary translator might achieve. It has been developed for teaching and learning use (see introduction text). It aims to map the competences of a literary translator and is meant to help teachers and institutes to create instruments and programs to acquire these competences. For students the framework helps to detect ‘gaps’ in their training and education. We don’t see the completion of the Framework as the end of the work – it is just a beginning. We have a broader ambition. We want to create a flexible, European (or wider) network of formal and informal literary translation schools offering common (Master’s degree) programmes, student and teacher exchanges, distance learning facilities and widely recognized qualifications and credits. One important aim is to facilitate the validation of non academic and informal learning within formal education pathways. This is important because the education of literary translation in Europe occurs at a relatively small scale and is widely dispersed. If one word could describe the career of a literary translator, it would be “unpredictable”. There are not many translators who start translating when they are still in school learning a language. Some of them don’t discover their talents and interests until much later. That is when the search for an appropriate course starts. Nowadays, fortunately, there is an increasingly diverse range of options. An analytical model like the Framework cannot do justice to the individual careers of literary translators. However, it may well help to provide an overview, both for translators and programme and course providers. Everyone knows very talented translators who don’t fit in the box. Such as a very talented translator who has hardly any professional skills. This framework can also raise awareness to universities and schools: if you want to prepare people for a translation career you need to help them developing professional skills. 3. Competences: what is a competence based approach? A competence based approach is grounded in the belief that analysing different competences helps in identifying developmental or learning issues. A competence is a constellation of: knowledge, skills and attitudes. The Framework is intended to serve as an analytical instrument. It does not aim to encompass a single, comprehensive “literary translation competence”, but to distinguish a whole range of competences. “Competence” refers to “the proven ability to apply knowledge and skills”. In this respect, the Framework is open to changes. The Framework can always be refined by adding or skipping descriptors. 4. How does the framework relate to more intuitive approaches to translation? Competence models have been developed for almost every domain of human practice, from teaching and nursing, through to visual arts schools. These models may be seen as the explicit and precise expression of what intuition might entail. Intuition may be seen as the result of experience. As a consequence a lot of the competences that are acquired by learning in the early stages of the learning line (LT1 and LT2) will grow into intuitive reflexes in the later stages. 5. Does a translator need all these competences? No, that would be impossible. The competences the Framework describes in its current shape amount to all possible competences we could imagine. No translator has all those competences. They are options. Moreover, a volatile pathway is very typical for a literary translation career. However, we will try to define which competences define the minimum qualification for a literary translator. In the PETRA-E project we will indicate examples of possible pathways through the learning line, for example there could be pathways towards specialisation in translating drama or in becoming a teacher in literary translation, or pathways starting with a language master or with a linguistic competence acquired by living in a country. Translators can be in very different levels at the same time, in 5 for one competency, in 2 for another. 6. Is there a minimum qualification for a literary translator? In our opinion all competences are options. Which qualification is required highly depends on the context and culture. 7. How can the competences be assessed? The PETRA-E partners are trying to find answers to this very important question. How will it be possible to determine which competences someone has or at which level on the learning line someone is? Descriptors are used to define the competences for the different levels. These descriptors encompass all of the things a literary translator should know and be able to. The more specific the descriptors, the easier it is to put them into practice. An attempt has been made to keep the number of descriptors to a minimum This has been done to keep assessments practical. We are in the process of defining ‘behavioural indicators’, i.e. observable characteristics that show that someone has acquired a certain competence. A very important condition is that there is a certain agreement on those descriptors and indicators. For the assessment instruments are needed in the form of valid and reliable tests. It is not possible to assess all the different competences by assessing a random translation, because the quality of a translation product does not necessarily tell us something about the competences of a translator. Competence evaluation is person bound, not product bound. 8. Can the Framework be a tool to judge the quality of a translator? It is not the aim of the Framework and it has not been developed to be imposed on translators. However this could be a spin off, if the framework should be widely accepted and used. Of course it will be necessary to emphasise a prudent use of the Framework as a qualification instrument. Keep in mind that currently publishers and others also implicitly qualify translators on a rather intuitive basis. In our view the Framework offers the opportunity to develop more objective tests to prove the competence of a translator. It is our hope that a competent translator will also be a ‘good’ translator in the traditional sense of the word. 9. Has the Framework been applied? 10. What remains to be done? The question of assessment has not been fully addressed yet. There are also other issues: what is the place of important notions like ‘creativity’. Should they have a place in the model or not? What about non-compulsory competences as teaching, didactics, research and the ability to work with digital media? Are they necessary to be a competent translator? 11. What is the difference between a competent translator and an excellent translator? In a competence based approach a translator has acquired a competence or hasn’t acquired it. We hope to find a relation between competency on many competences and excellency. 12. How can we prevent misuse of the framework, for example by institutes, persons or governments that want to exclude translators of work for the wrong reasons? We always distribute the framework accompanied by an introduction in which we emphasise that it should not be used for inclusion and exclusion. The introduction describes the purposes of the framework and how it should be used correctly and prudently. We can provide as many examples as possible to demonstrate how it can be applied. 13. Does the framework intend to standardise the practice of literary translation? No it doesn’t. It is primarily a tool for teaching purposes. It emphasises the possibility and the desirability of different approaches. 14. Will there be any network of qualified programs for LT? (similar to EMT)? This might be a future outcome but we are not there yet. We believe that we can only start to do such things when schools and translators themselves acknowledge the usefulness of the framework and are making use of it. 15. How can translators qualify for a level? Can we identify ‘objective’ measures that indicate the level of a translator, such as the language proficiency according tot the ERFL or numbers of translated books?